Be it granite countertops or additional rooms in the basement, homeowners in Toronto remodelling for resale are mostly concerned with recouping their investment. This makes their choices a lot easier. You have the statistics and the numbers to plan with. And you know exactly, what you are going to make on that investment. Granite countertops – up to 100%, new appliances – up to 60%, bathrooms – up to 70% and so on. In the Kitchen, selecting the right countertop material will be one of the most crucial decisions you make. If statistics are to go by, then granite continues to be the number one choice for countertops. But with an abundance of choices, homeowners are now confused about what to choose. Granite is a naturally occurring stone that is quarried directly from the earth. It is formed when molten rock cools down before reaching the earth’s surface. So, by the time it is quarried, it is already thousands of years old and mostly, in immaculate condition. Considering that the temperature under the earth’s surface is not exactly pleasant and that granite is resilient enough to be exposed to it continually without being damaged, it should thrive in your kitchen for the next thousand years or so. Jokes apart, it is expected that with proper care, the lifespan of a granite countertop can be up to 30 years or more. In fact, it can even outlive your house. However, that is just an arbitrary number that can increase or decrease depending on how you maintain granite. With some very basic care, you can increase the lifespan of your granite countertop. Sealing: Granite is a naturally porous stone unless it is sealed. 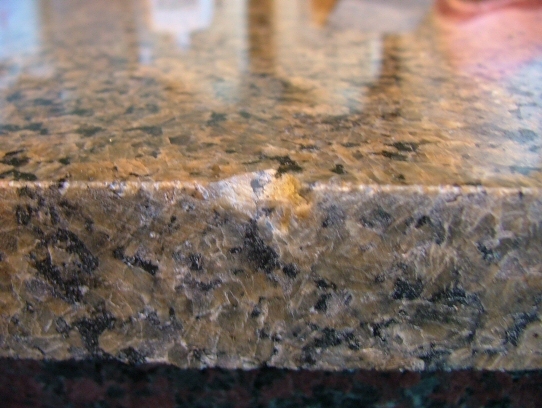 Ensure that your granite fabricator uses a quality sealant the first time. Cleaning: Cleaning countertops, be it granite or quartz or any other material, is a crucial part of its maintenance. Make it a habit to wipe off any liquids that fall on the countertop. You may have heard that granite is resilient to stains and it’s not necessary to wipe off liquids. But some liquids can weaken the sealant. Why test fate? Wipe it off with a dish rag and keep the countertop clean. Things to avoid: Avoid climbing on the countertop, cutting it with a diamond, using a sledgehammer on it, using abrasive chemicals to clean it, keeping hot pans on it every day until the sealant weakens. Ok, you can ignore the third one. Resealing: While resealing every couple of years is not really necessary, you may need to reseal the granite if you start to notice signs that the sealant has weakened. The water test is one of the easiest ways to find out. If you are concerned about the lifespan of a granite countertop for your home in Toronto, then it does not even deserve a second thought. With the right care, the countertop will perform flawlessly for the next few decades.